The following is a compilation report from several recent trips made to the Murray-Sunset National Park and its surrounds. 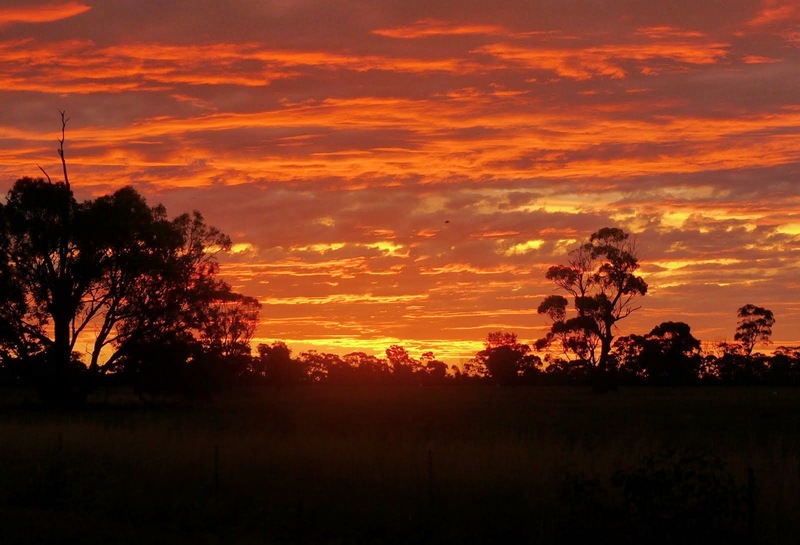 A massive 633 thousand hectares in size, the Murray-Sunset is Victoria’s second largest national park. 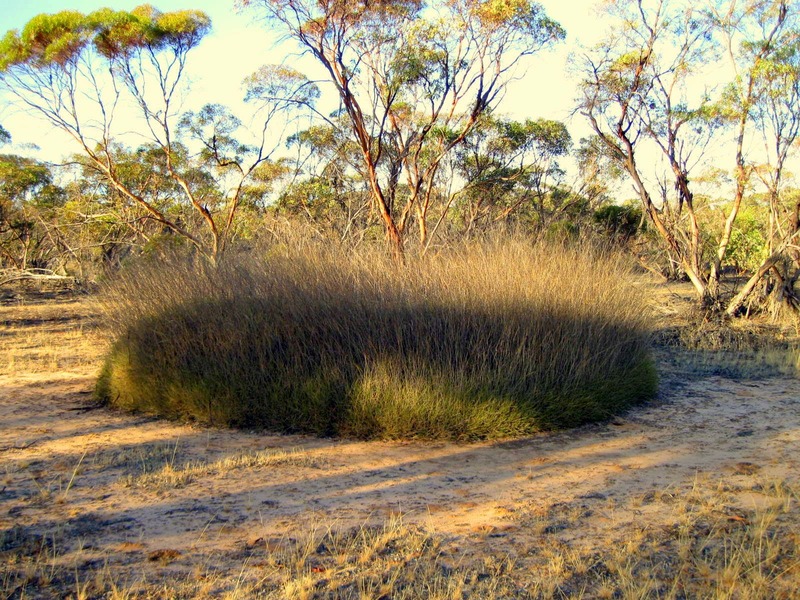 The park has extensive areas of Mallee woodlands, dominated by deep sand dunes and swales, some covered with Spinifex (Triodia scariosa) hummock-grassland. For a detailed map of the park see the park notes. common along the Murray River, such as at Ned’s Corner. Along the first section of North South Settlement Road, while driving through the grasslands, look for Little Crow, parties of Orange and Crimson Chat, Zebra Finch and White-backed Swallow. It is also a good place of observe the different phases of Brown Falcon – on one trip I got dark, light and brown phase all side by side. Grey Falcon has also been recorded in this area, and probably represents the most likely place to see this rare raptor in Victoria. In the open woodland look for Red-capped Robin, Hooded Robin, White-browed Babbler, Chestnut Quail-thrush, Varied Sittella (black-capped ssp pileata), Crested Bellbird, Gilbert’s Whistler, Masked, White-browed and Black-faced Woodswallow, Grey Currawong (black-winged ssp melanoptera), and Apostlebird, Zebra Finch and White-backed Swallow. 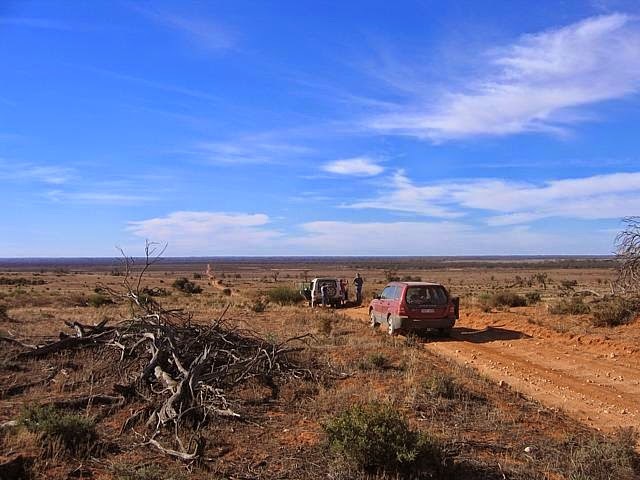 Further south, along the southern end of the North South Settlement Road and east, particularly when you come to the Pheeny Track (-34.700345, 141.099727) you’ll find some of the most pristine section of Mallee woodlands in Australia, and the mallee birds can be abundant. Here I’ve seen Blue Bonnet, Australian Ringneck, Regent Parrot and Mulga Parrot, Peaceful Dove, Shy Hylacola, Splendid Fairy-wren, Variegated Fairy-wren, Spotted Pardalote (yellow-rumped ssp xanthopyge), Striated Pardalote, Southern Whiteface and Thornbill such as Inland, Chestnut-rumped, Yellow-rumped, Buff-rumped and, occasionally, Yellow. Wymlet Tank – really just a large dam – is located at the east end of the Honeymoon Hut Track (-34.913515, 142.033450). It’s an extremely interesting place to go birding. An oasis in a desert, you never know just what will turn up. For instance, on several occasions that I’ve visited, there have been literally thousands of White-browed and Mask Woodswallow hawking around this dam. It’s a great place for inland parrots, I’ve seen Blue Bonnet, Mallee Ringneck, Mulga and Red-rumped Parrot, Budgerigar, and Cockatiel. I also reckon the area around Wymlet Tank is probably the most likely place in Victoria to see Scarlet-chested Parrot. When the water level in the dam is right, you might get waterbirds such as White-faced Heron, Black-tailed Native-hen, Wood and Pink-eared Duck, and Black-fronted Dotterel feeding on, or around the dam. The place I have most often recorded Red-lored Whistler is along the Honeymoon Hut Track, particularly west of where it intersects with Meridian Road, most reliably between 4 to 6 kilometers west of the Meridian Rd (such as 4.7 km west). On most occasions I’ve seen birds on the north side of the road, foraging and calling mainly from the ground. The best method for finding Red-lored Whistler is to stop every 100 meters or so in the appropriate habitat and listen for its distinctive call. It is also worth noting that fires are a dominant part of the Mallee landscape and are a major factor in determining the nature and distribution of vegetation and, therefore, the presence of Red-lored Whistler. Fire age i.e. when was the Mallee last burnt largely determines were you can or can’t see Red-lored Whistlert. Their response to fire depends on the changes in vegetation structure, such as leaf litter, Spinifex cover and tree barks, all affected by fire, and all recover in slightly differing time-frames. Accessed via the Calder Hwy, 13 km south of the township of Hattah, Trinita Road is a relatively unknown spot for birding. 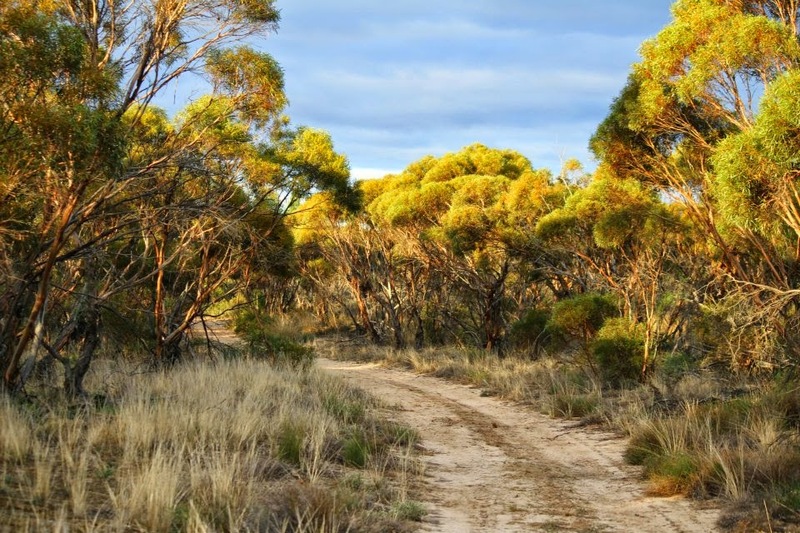 The habitat along the road is a fascinating, being a wonderful mix of open woodland that contrast nicely with the Mallee woodlands. When the plants and trees along this road are flowing it can be one of the best places to going birding in the Murray Sunset, with an abundance of birdlife, particularly at dawn. To add to this, it’s easily accessible from Hattah-Kulkyne National Park. There’s a nice small dam along the road, which is a good spot to base yourself (-34.899853,142.256016). Here you can go birding in the open woodland on the south side of the Trinita Road, or birdwatch in the Mallee on the north side of the road. Birds I’ve recorded include Emu, Malleefowl, Crimson Chat, Major Mitchell Cockatoo, Blue Bonnet, Regent and Mulga Parrot, honeyeaters such as Striped, Black and Pied, White-browed and Masked Woodswallow, Southern Scrub-robin, Crested Bellbird, Rufous and Brown Songlark, Chestnut-rumped Thornbill and Splendid and Variegated Fairy-wren – now that’s not a bad list!!! In general it reminds me of Goschen Bushland Reserve and the the open woodlands at Round Hill Nature Reserve. Ned’s Corner Station is a pretty special place. 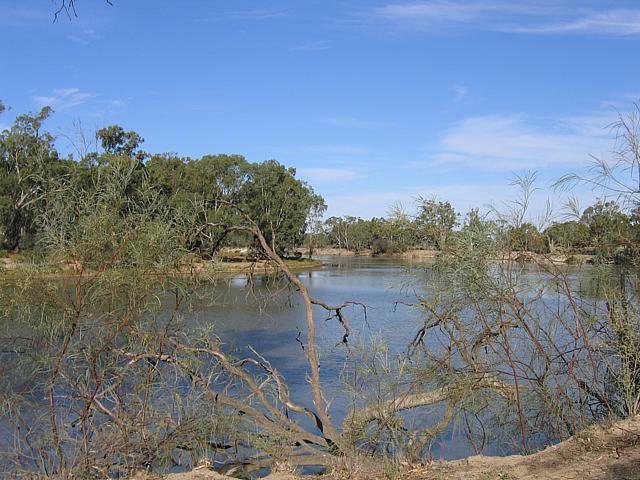 Located in the banks of the Murray River (-34.168535, 141.335586), the massive property is a 30,000 ha former grazing property, it was purchased by Trust for Nature in 2002. It’s is also notably as being the best spot in Victoria to find Inland Dotterel. If you wish to stay there (camping on the banks of the Murray River! 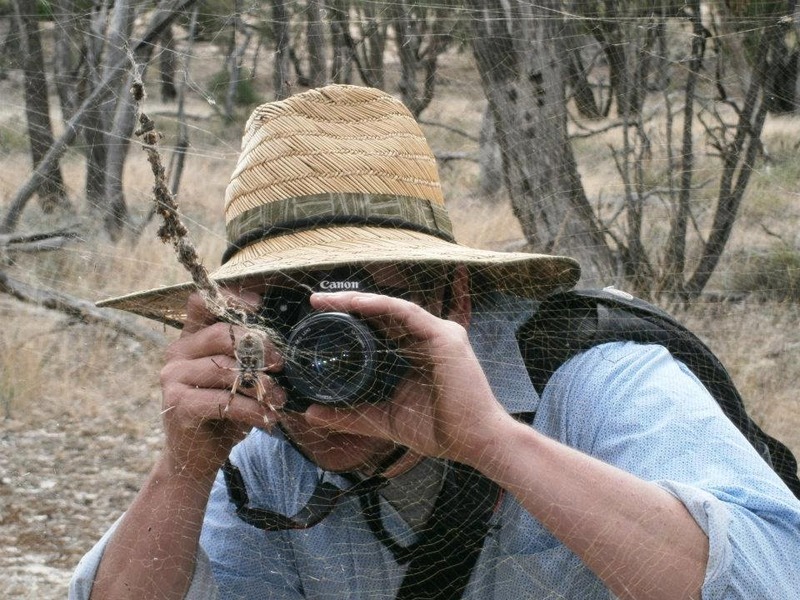 ah..), simply contact Trust for Nature; their details are on their website – http://www.nedscorner.com.au. Essentially there are a few main habitat types on the property. The vast majority is what’s known as Murray Scroll Belt floodplain. 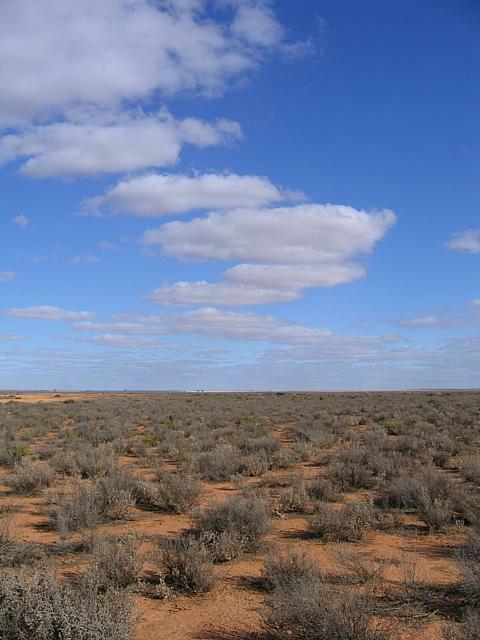 In the vast areas of open space Saltbush, Blue Bush, Lignum and Inland Pigface grow, and there are a few scattered trees and shrub. 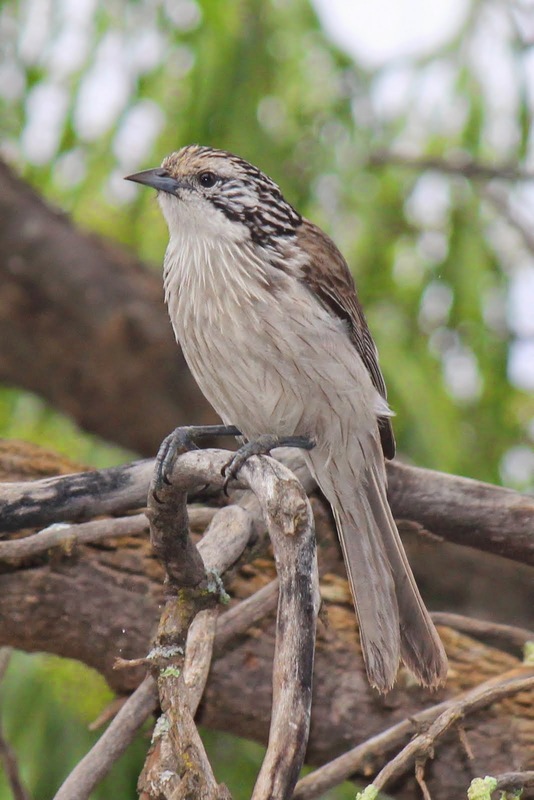 Chestnut-crowned Babbler also occur in the flood plains, and you will see large numbers of Blue Bonnet along the roadside into Ned’s, roosting on any tree they can find. White-winged Fairy-wren are regularly encountered in the low-lying floodplains – look amongst the Saltbush and Lignum – there is usually a resident family immediately behind the main shower block. Other birds to look out for in the flood plainsare Emu, Little Button-quail, Australian Pratincole, Budgerigar, Cockatiel, Black-fronted, Orange and Crimson Chat, Black-faced Woodswallow, Zebra Finch, and White-backed Swallow. The Murray River at Ned’s Corner. Aside from the birds, a wide range of other wildlife species have been recorded at Ned’s Corner. These include three types of kangaroo – Eastern Grey, Western Grey and Red, Fat-tailed Dunnart, Echidna, the endangered Giles’ Planigale, De Vis Banded Snake, Carpet Python, Tessellated Gecko, Shingleback, Hooded Scaly-foot, and Growling Grass and Long-thumbed Frog. There is also talk of re-introducting some species that have become locally extinct, such as Bridled Nailtail Wallaby and Brush-tailed Bettong. Yarrara Flora and Fauna Reserve Yarrara Flora and Fauna Reserve is located half way between Ned’s Corner and the Murray-Sunset National Park (-34.408445, 141.426011). 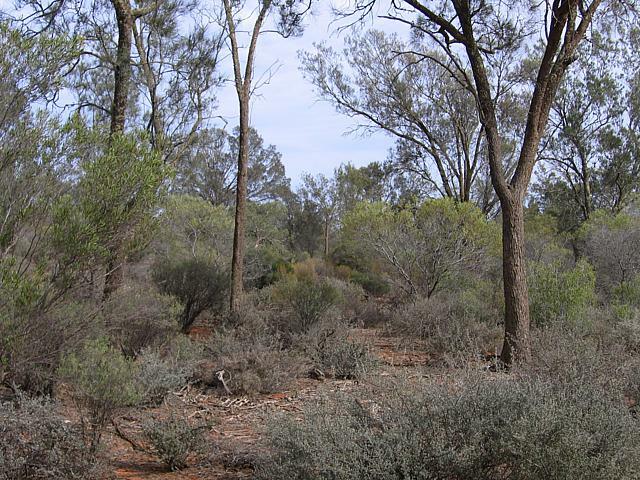 A remnant vegetation reserve, it provides some excellent bushland birding. 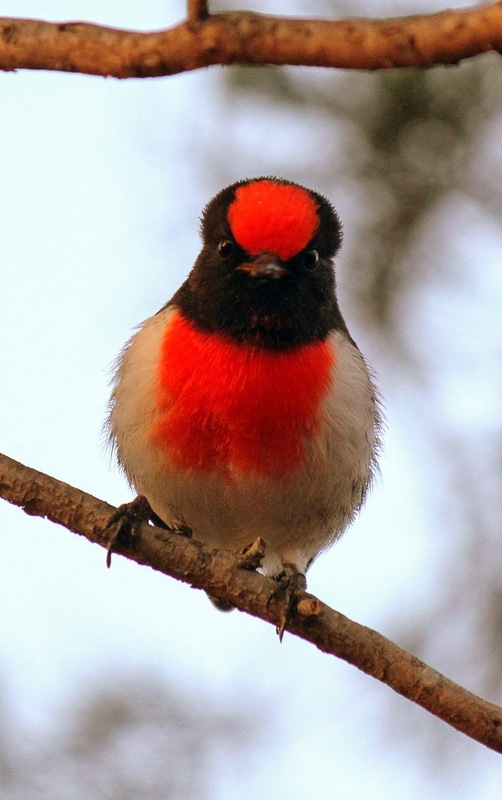 Gilbert’s Whistler is also common here, and also look for Hooded and Red-capped Robin, Splendid Fairy-wren, Crested Bellbird, Striped, Spiny-cheeked and Singing Honeyeater, Blue Bonnet, Australian Ringneck, Mulga Parrot, and Chestnut-rumped and Inland Thornbill.